Cleaning the tile floors in your kitchen can be such an unpleasant undertaking if you’re using the wrong items. Those old chemical cleaners can wreak havoc on your nostrils, but even more problematic than that is the fact that some of them can be harmful to the environment. The good news is that people have come up with better solutions to use for cleaning tile floors. So, what are these tools? Well, we’re just about to talk about them. By the end of this article, you’ll have an answer for how to clean tile floors thoroughly without resorting to using any chemical cleaners. We’ll be using two types of green cleaning solutions, so the list of required items is going to be a bit long. Let’s start by listing the items you will need to have regardless of which of the two cleaning solutions you end up using. 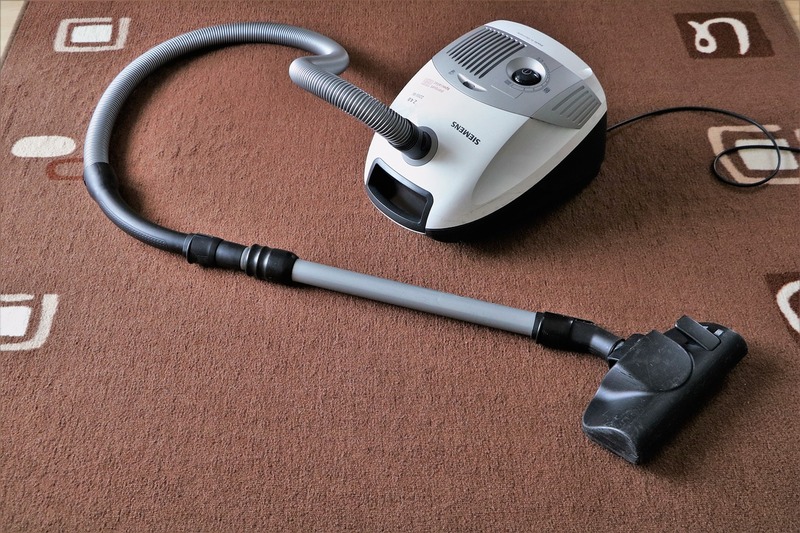 Vacuum Cleaner – In looking for a machine to clean tile floors and grout, I found the vacuum cleaner to be immensely helpful. No specific type of vacuum is needed though. 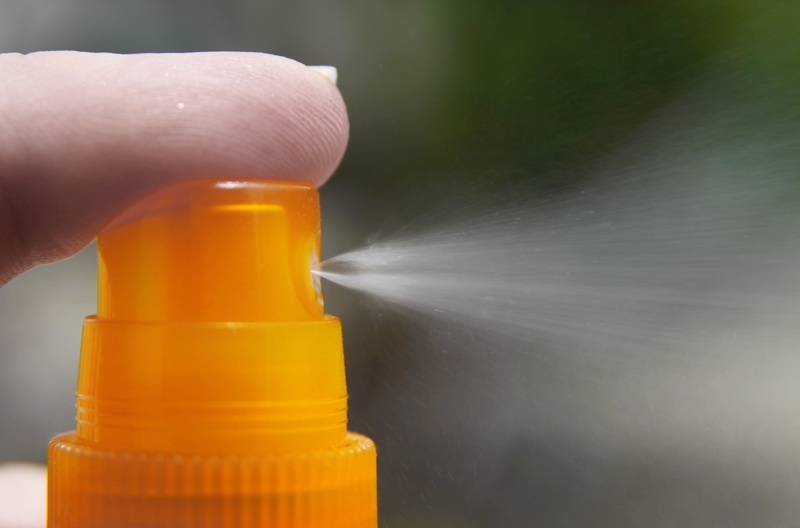 Spray Bottle – You will need some sort of item that can efficiently transport your cleaning solution and that’s where the spray bottle comes in. Microfiber Mop/Cloth – A steam mop can also work here, but microfiber is ideal for capturing the tiniest dirt particles and that’s what we’re looking floor. Many people often wonder how to clean floor tile grout and microfiber offers an answer. 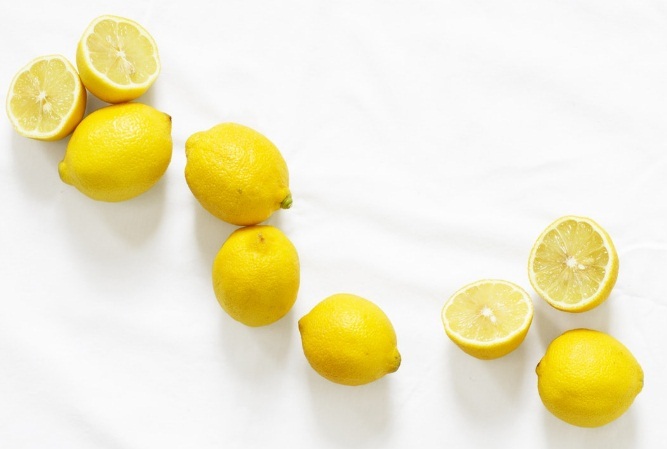 Lemon juice – The amount of lemon juice you will need will depend on how big the kitchen you’re cleaning it. You need this in your cleaning solution because its acidic nature can be used to eliminate stains and hard water marks. It also provides a nice bit of shine to the tiles. 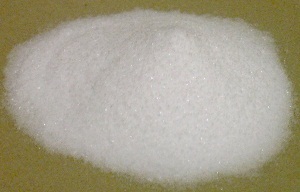 Baking soda – For cleaning purposes, you want to pair an acid with a base. In this case, we’re pairing up the lemon juice and baking soda. Plus, if you’re dealing with some lingering pet odor, baking soda will help get rid of that as well. White vinegar – The highly acidic nature of white vinegar is what makes such a good item to use for cleaning tile floors. If you want to the deep clean tile floor, white vinegar will be able to help you out a lot. Water – You don’t want to splash pure vinegar on your tile floor, so it’s best to dilute it with at least some amount of water. It will be impossible to end up with clean floor tiles regardless of which solution you decide to use if you don’t take the time to remove the debris and dust particles that have accumulated on top of them. This is where the vacuum cleaner is going to come in handy. Use that machine to pick up as much debris as you can so that the floor can be cleaned with no issue. Get into the nooks and crannies of your kitchen and try your best to pick up everything. A broom can be used as well, but cleaning with that may take too much time. 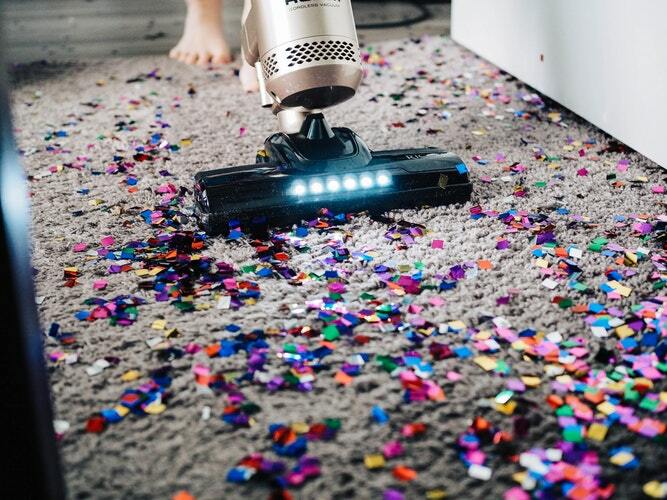 Set aside time for the vacuuming because you won’t be able to properly clean your floor tiles if there are still chunks of dirt and remnants of debris on them. Avoid doing the vacuuming too far ahead of time though as that may lead to dirt and debris accumulating on your floor tiles again. 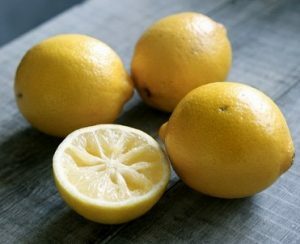 As mentioned earlier, the amount of lemon juice you will need for cleaning up your floor tiles will vary depending on the size of your kitchen. A cup of lemon juice should be more than enough for an average-sized kitchen though. You can get the juice from the lemons either by simply using a juicer or by squeezing them by hand. Pour all the juice you get from the lemons into a container and then strain the juice. This is important because you don’t want the seeds to be mixed into your cleaning solution and the pulp is not going to help as well. This can be a labor-intensive process because the lemons may not want to give up their juice so easily. To address that issue, roll the lemons first to get those juices moving. You can also try placing the lemons in the microwave and then heat them up for just a few seconds before juicing them. If you spend a lot of time cooking and baking in the kitchen, then chances are that you won’t need to run down to the store just to get some baking soda. 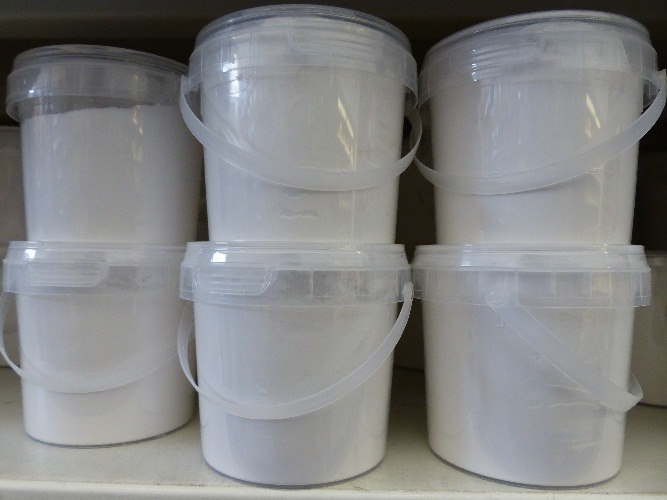 However, it is worth pointing out that baking soda becomes a less potent cleaner as it ages. If you can’t even remember the last time you used that box of baking soda, then you probably need to replace it with something new if you want to clean up your floor tiles. Some people suggest first dissolving the baking soda in some water before adding in an acidic substance to get the best results. From the many times, I’ve used baking soda for cleaning, that has not been a step I have needed to take. With the lemon juice strained and the baking soda on hand, you can now proceed to combine them in a spray bottle. Just be sure that you cleaned the spray bottle before using it. You don’t want any dirt particles inside that bottle to impact the effectiveness of your cleaning solution. Put the baking soda in the bottle first and then follow up with the lemon juice. Don’t pour the juice too quickly or the reaction you get may end up being too strong. That could lead to the reaction flowing out of the bottle. Once the mixture has calmed down, go ahead and grab the cap for the spray bottle and put it on. Make sure that it’s secure so that the cleaning solution won’t be leaking all over the place once you get started. Now that the cleaning solution is in the spray bottle, it’s time to use it. Pick out any spot on the floor and spray it with the solution. You don’t have to wait long for the solution to work its magic because it is going to take effect immediately. The next step involves cleaning up that solution. For that, you can use a mop. 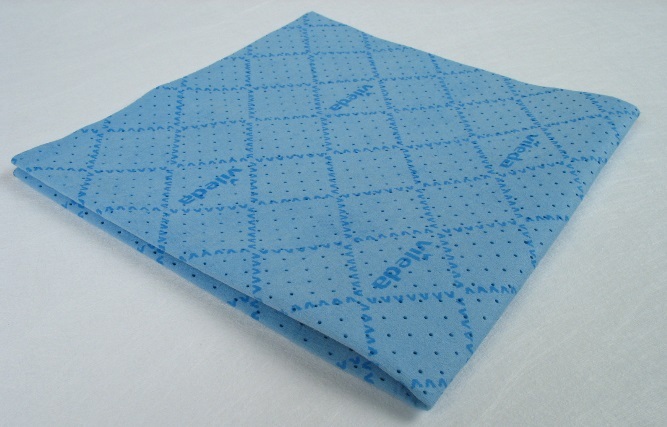 Microfiber is the material you want in your mop to clean tile floors. However, if you don’t have a microfiber mop, the trusty one you’ve been using will still be able to get the job done. This time around, we’re going to utilize a more direct method of cleaning using lemons and baking soda. To start, you will have to slice a lemon in half. Pick a lemon that you can comfortably hold in your hand even after it’s been halved. Be careful not to squeeze the lemon too much while you’re slicing it. To be more specific, you will want to take hold of the lemon you just halved and point the cut side towards you. Grab a little bit of baking soda now and sprinkle it on the cut side of the lemon. What you’ve essentially done is turn the lemon into the cleaning item itself. Take that baking soda-covered slice of lemon in your hand and use it directly to clean your kitchen tiles. Obviously, you won’t be able to cover as much area using just a slice of lemon, so I would suggest only going with this cleaning method if there’s a small grease spot or if a colorful substance like hair dye ended up on the floor. Once again, it’s time to bust out the vacuum cleaner. Just like with the other method, you have to be very thorough while using the vacuum cleaner. If you’re unable to remove all of the grit and other types of debris such as pet hair on your floor tiles, then you’ll have a harder time cleaning them up using the solution. Cleaning tile floors with vinegar on its own is not a good idea because that substance may be a bit too strong. 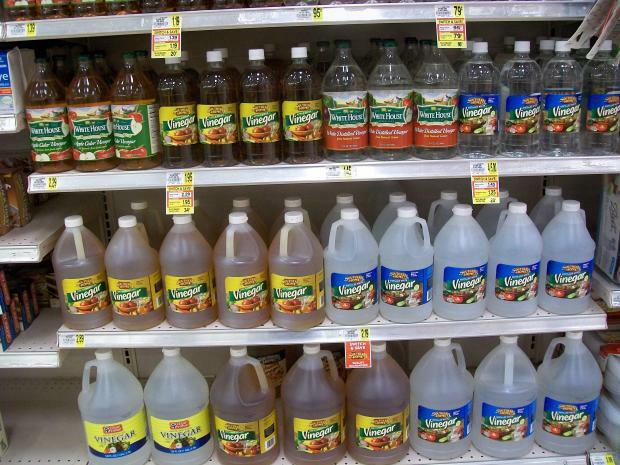 Furthermore, the smell of vinegar is not something universally liked and having it linger in your home is not ideal. Thankfully, there’s an easy way to address that problem. 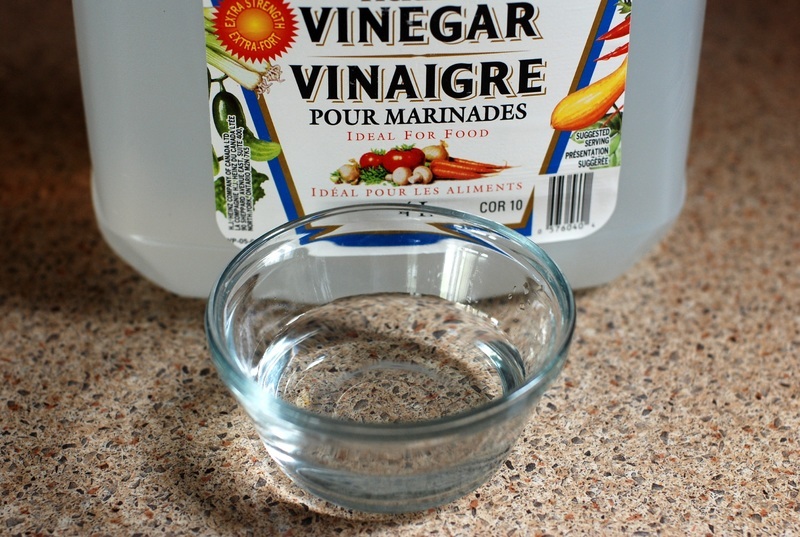 All you need to do is to dilute the vinegar with an equal amount of water. That vinegar and water mixture will remain effective for cleaning while also being a milder solution. Try to test the acidity of the mixture by using a little bit of it on your counter-top. After determining that you have the acidity level of the vinegar and water mixture right, you can now pour it into a spray bottle. If you’re having a tough time pouring the liquid mixture into the spray bottle without spilling any of it, you can go ahead and use a funnel. Screw the lid on tight and also check to see if you’re getting a good amount of the solution with each spray. The key here is to not use too much of the cleaning solution. 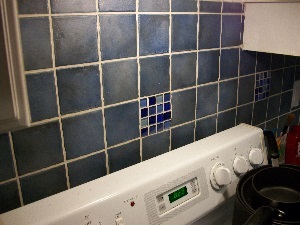 If the tiles are covered by too much solution, then the dirt particles on them will quickly drip down into the grout before you can even wipe them up. What I suggest you do here is work on a specific area until you are able to gradually move through the rest of your kitchen. Instead of having to complete multiple passes on the same tiles, you can just work over them once and be done with them. Once you’ve sprayed the solution on to some tiles, you need to work it deep into the surface using either the microfiber mop or microfiber cloth. Scrub forcefully and make sure that you get the solution into the grout as well as you don’t want to leave that part of the floor dirty. All that’s left to do now is to clean up the solution on the floor tiles. To accomplish that, you will have to fetch either a fresh microfiber cloth or your microfiber mop. Use either the mop or the cloth to pick up the remaining solution and all the dirt particles it has managed to lodge free. 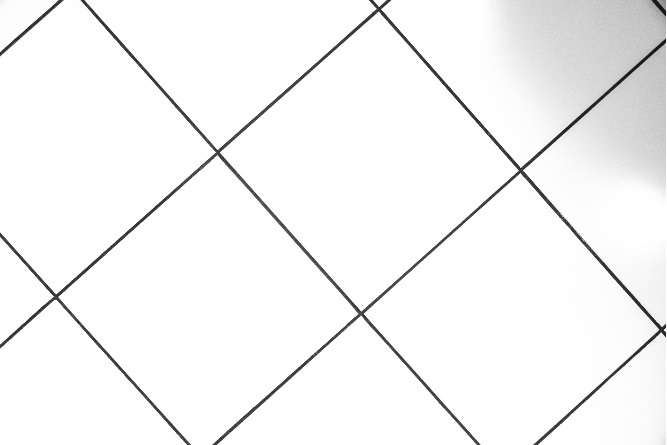 You should be able to notice the difference as soon as you pick up the solution from the floor tiles. 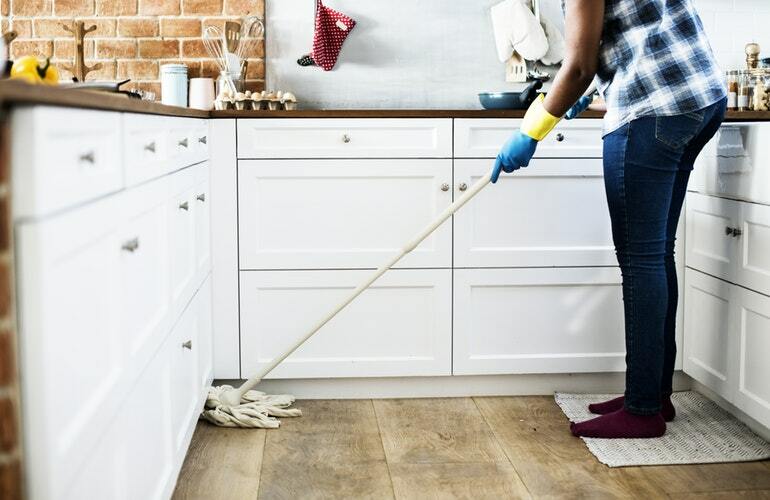 Whether you think vinegar is the best product to clean tile floors or you prefer to use lemon juice and baking soda, the bottom line is that you don’t need chemicals anymore to tidy up your kitchen. Cleaning ceramic tile floors and ending up with clean porcelain tile floors is possible even if you stick to using homemade solutions. There may have been a time in the past when people could only wonder how to clean tile floors without using chemicals. These days though, you have different green options to choose from and they are all effective. 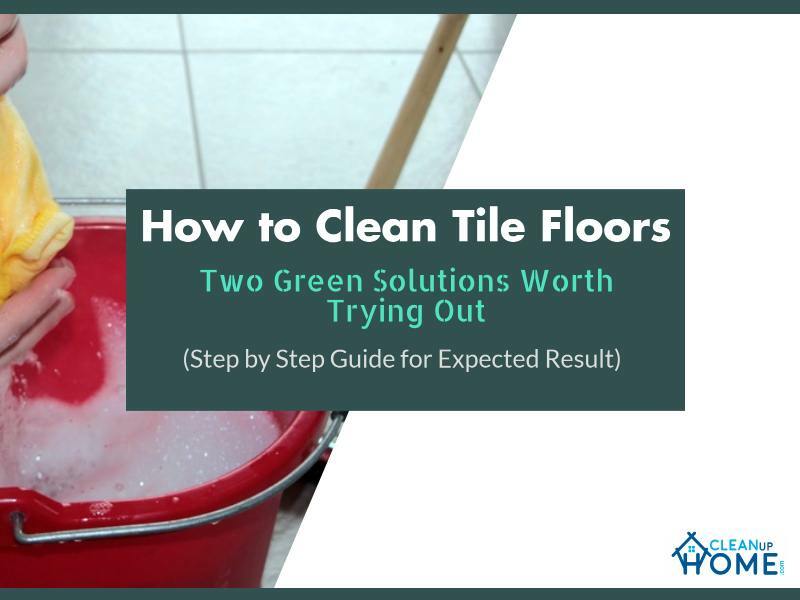 Did you like this guide for cleaning tile floors using green solutions? If you did, please feel free to share it with your friends and family members who could also use some help when it comes to moving away from chemical cleaners. Lemons are such an all purpose cleaner. In fact I use them more in cleaning than I do in cooking. I only ever use lemon zest or juice on pancakes!